It may seem easy to pull off one color outfit, but actually can be tricky especially if you don’t want to blend into the crowd. 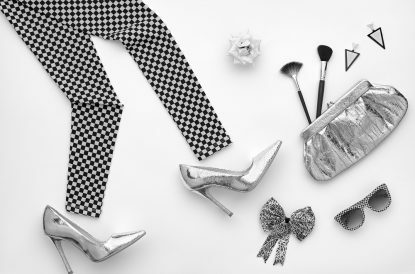 Here are a few styling tips that will help you to refine and elevate a monochromatic look. The texture is an essential element to implement into a monochromatic outfit. The mixture of different fabrics make the pieces distinguished from each other, and the outfit will come off looking stylish instead of uninspiring. 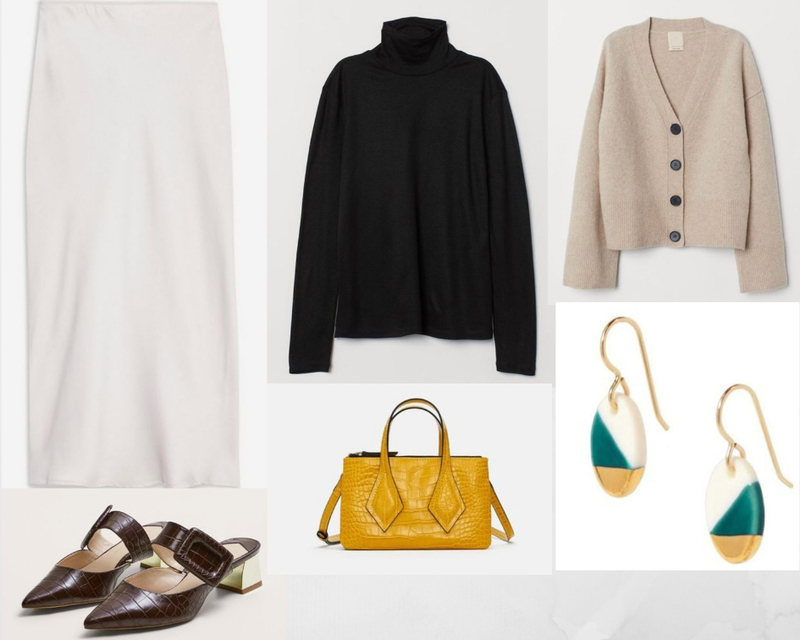 Break up the top and the bottom wearing a shiny satin skirt with a black turtleneck and add texture with a cozy beige cardigan for a sophisticated look. Finish the look with croc-effect buckle shoes for a modern touch and to make a fashion statement. Always balance when combining pieces and choose the shape of your top and bottom carefully to aim for a slim silhouette. If you wear a bulkier sweater complement with fitted bottoms and vice-versa. The satin midi skirt with a bias cut helps to accentuate the body curves and drape softly contrasting the oversize cardigan. Playing with proportions, you will look taller and thinner displaying a well-balanced silhouette. Add color and visual interest with contrasting accessories. A yellow bag and a pair of earrings is a bold finish and create an eye-catching statement. A monochromatic outfit is always a good choice when you want to look good yet to bring that cool factor to stand out.